Good pet health begins with good nutrition. There are several factors to consider when choosing the best diet for your pet. The number one consideration is age. Puppies and kittens, adult dogs and cats between the ages of one and seven years, and older dogs and cats seven years and older have different nutritional requirements. Health concerns or chronic health conditions are also important factors to consider when choosing pet food. Ideally, you want to provide your pet tasty food made from healthy, safe ingredients rich in nutrients that will support a long and healthy life. Optimal pet nutrition requires the right balance of protein, fat, carbohydrates and micronutrients such as minerals, vitamins and enzymes. Good pet food requires no supplementation. 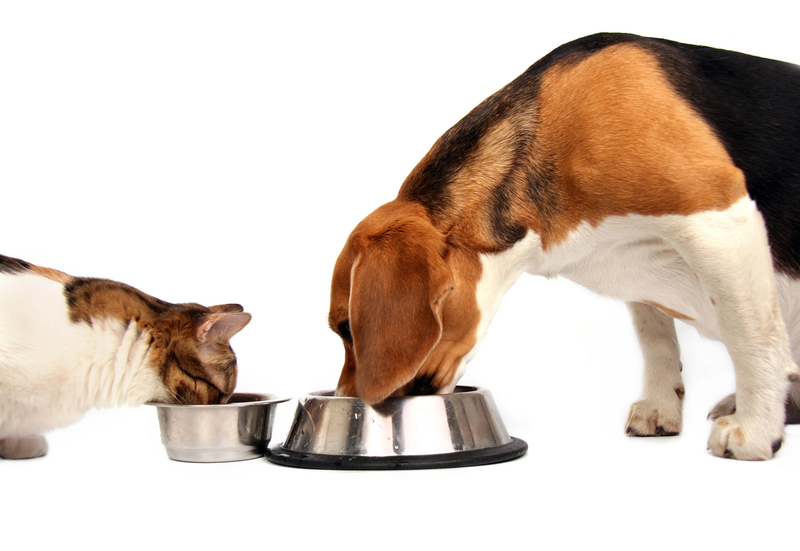 Giving table food to pets could upset the balance and amount of nutrients they receive from their food. In order to know which food is best for your pet, it is vitally important to determine your pet’s overall health. Scheduling a checkup with a veterinarian is a good starting point. This will help you understand if your pet has certain health needs including illness, digestive problems or weight issues. These are all important factors to weigh when choosing the best nutrition for your pet. 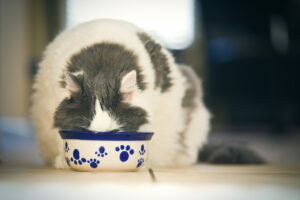 If your pet has a chronic illness or injury, she will require a special diet to aid in healing. If a pet is underweight and anemic, he will need a diet that will help him gain weight while also building strength. It is important to find the best diet to improve your pet’s health needs. Pets with diabetes require special management of their diets. Your pet’s activity level is an important factor. Dogs with a high activity level require more protein and calories than one with an average or low activity level. Because dogs with a high activity level burn more calories and energy, their diet needs to contain more protein and fat. 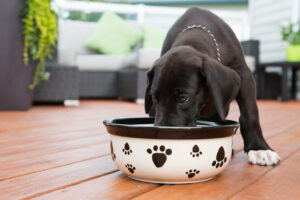 Carbohydrates, a source of energy, are also vital for dogs with a high activity level. For those dogs with a low activity level, fewer fats, carbohydrates and calories are necessary in their diet. If an inactive dog is fed too much, they will gain weight which could have a negative impact on their overall health. Assessing your pet’s activity level accurately and honestly will help you choose the most optimal food for their health. As mentioned previously, age is an important factor when choosing the best pet food. A puppy or kitten has far different nutritional needs from older dogs and cats. Puppies require a diet high in calories, fats, carbohydrates and other nutrients which boosts weight gain while promoting healthy development. Kittens require a diet which contains more protein, minerals and calories to support brain and muscle development and a higher activity level. Adult dogs and cats have different nutritional needs from older dogs and cats who require a diet that will protect them from health conditions they may face as they age. Allergies impact which food is best for your pet. Some pets are allergic to the primary ingredients of pet food. Pets with allergies or food intolerances may require a special diet. There are many pet foods especially formulated for pets with allergies. Determining whether your pet has a food allergy can be tricky. The answer may be as easy as switching to another brand of food or as difficult as an elimination diet. Finding the best diet for your pet who may suffer from a food allergy, requires closely watching their behavior and monitoring everything they eat, including treats. If you believe your pet has a food allergy, make an appointment with your veterinarian to discuss the appropriate next steps.